On 29th May 2016, Abdirashid Abdiwahaab Ibraahim, chairman of the independent Foore newspaper, was taken into custody in the Criminal Investigation Department (CID) in Hargeisa. Human Rights Centre calls on Somaliland authorities to immediately and unconditionally release Abdirashid. The detention of Abdirashid followed after Foore newspaper run news articles about recent agreement between the Somaliland government and DP World, a company based in United Arab Emirates, on Berbera port management. 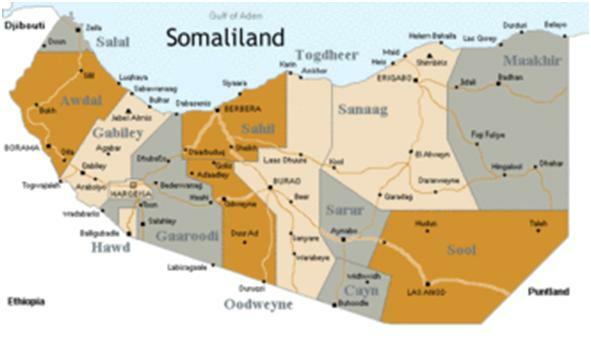 The newspaper articles allegedly stated that the family of Somaliland president will have 15% share of a company that will be established to manage the port. Human Rights Centre cannot confirm the allegations of the newspaper. In another case, the trial of Cabdirashid Nuur Wacays, chairman of the suspended Hubsad newspaper, and Siciid Khadar, editor-in-chief of Hubsad, started today in Hargeisa Regional Court. The journalists are charged of (1) Publication or Circulation of False, Exaggerated or Tendentious News Capable of Disturbing Public Order, (2). Unauthorized or Prohibited Business Agencies and Public Trading Concerns. The journalists denied the accusations. On 28th May 2016, three journalists arrested in Berbera for giving coverage to a member of Berbera local government council who expressed skepticism on the agreement were released. Human Rights Centre calls on the government of Somaliland to immediately release the journalist, and to drop the criminal charges against Hubsad journalists. Human Rights Centre (HRC) is the only local human rights watchdog based in Somaliland. It is registered with the Somaliland government as a non-profit-making, non-governmental organization with its own legal personality.